Pulling to the left or right is the most common sign of suspension problems. It can also be one of the hardest problems to diagnose without the help of a professional. When your car is on level ground, but one corner sits lower than the others, you’ve likely got a damaged spring. 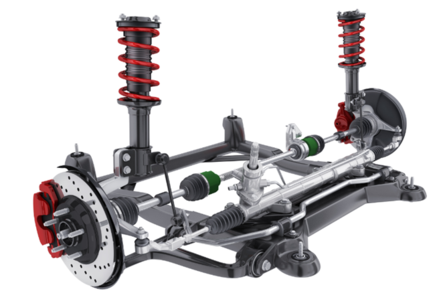 If you find steering is especially difficult, especially when you’re moving slowly, something might be wrong with your suspension. If you have badly cupped tires or noticeable tire shaking, wheel shimmy or vibration after hitting a bump. Coil spring, leaf spring, lift kit and suspension lift.